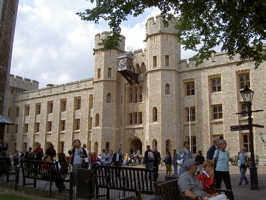 The another place we watned to go in London was the Tower of London. It was because my husband had never been there. We decided we would not enter if the admission is more than 15 pounds (about 35 Canadian dollars) per person. The admission was 14 pounds 50 pence. We paid (ToT) and got in. 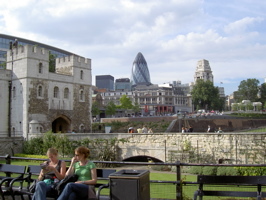 William I ordered to build this fortress in 1098 to protect London from enemies. It’s now UNESCO’s World Heritage Site. Please refer to Wikipedia for its historical background. You can see royal jewelry collection such as the biggest diamond in the world called “The Great Star of Africa”. To avoid crowds, you get on a flat escalator which was in front of the collection. I was told I could see as many times as I wanted. So we got on the escalator for five times. There were prisons, weapon rooms, and we saw an exhibition of royal armour. 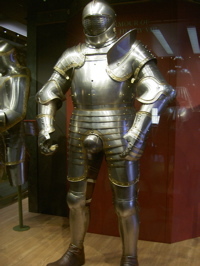 The biggest suit of armour was Henry the eighth’s. There was a church as well. 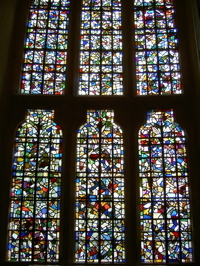 Stained glasses with geometric pattern were very pretty. 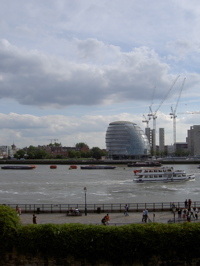 You can see the new building of London city hall. 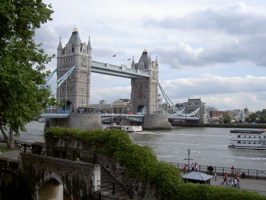 You can see Tower Bridge. I could see the Gherkin from here as well. This entry was posted in ENGLAND, Travel. Bookmark the permalink.